Denver is getting a sneak peek of spring today -- the sun is bright and the sky is blue! It's enough to give everything (even daily chores) a silver lining. Speaking of silver lining for your day, the beautiful glominerals spring collection is now available. We've got your precious metals covered with the new gloMetallic smoky eye kit . 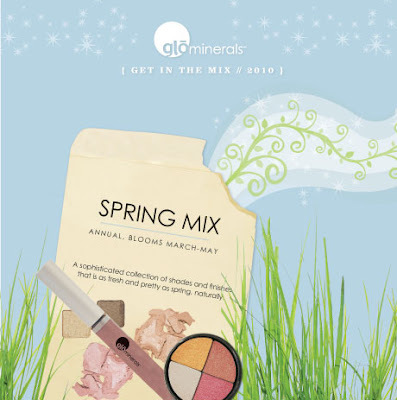 And your spring glo is perfectly accented with the gloShimmer brick in gleam for eyes, cheeks and all over glo. (Incidentally, the gloShimmer brick's shades look divine with a real silver lining -- check out the gloEye divine look here.) So smoke up your eyes and finish off your look with what I'm still stuck on: the perfectly rosy gold gloGloss in brown sugar. You'll be as irresistible as spring.